Record backlog of pending cases ties up immigration courts around country. Because of fears for her safety NBC Bay Area agreed to call her by a different name. Juanita came to the United States looking for freedom, but now she’s forced to wear an ankle monitor so US Immigration officers can track her whereabouts at all times. It’s a small price for her, but she has no idea how long she’ll have to wear the monitor because a date for her court case was recently pushed back to more than a year away. Another undocumented immigrant was forced to leave her young daughter behind in El Salvador because she feared for her life and had to flee to the US. Paola (not her real name) applied for political asylum, but, like Juanita’s case, Paola’s case keeps getting delayed. “I have my daughter and for me that’s my biggest desperation,” the 31 year-old said. “That’s why I wish the process was a little faster..” Her court case was originally scheduled for next month, but has now been pushed until January of 2017 at the earliest. Paola’s attorney, Emily Abraham, expects it could be delayed again and says her client’s case is not unique. “Families are being scheduled out to 2019, sometimes later and they can’t actually get any justice here until their case is completed,” Abraham said. “They can’t bring their family here to live with them. Data backs up what Abraham’s sees firsthand. According to the U.S. Justice Department’s Executive Office for Immigration Review (EOIR), as of July 20, 2016, there were 35,005 pending immigration cases in San Francisco. Nationwide EOIR had more than a half million (500,051) pending cases. What makes things different this year is that after March 1, 2016, EOIR began prioritizing cases the Department of Homeland Security considered “Priority 1 category for civil immigration enforcement. Since July, 2014, EOIR had been prioritizing unaccompanied children, families in detention, families released on alternatives to detention and detained cases of recent border crossers. Now when DHS categorizes undocumented immigrant cases as “Priority 1”, that action essentially puts them on the fast track toward a resolution. But it also means other undocumented immigrants waiting for their cases to be heard get delayed time and time again. Click here for full EOIR statement. DHS and ICE spokeswoman Virginia Kice told NBC Bay Area “we don’t directly tell EOIR and judges how to set their calendar. “ Kice did admit that DHS does categorize immigration cases into areas of priority and communicates with EOIR about setting those calendars, it is EOIR not DHS that sets US Immigration Court calendars. Click here to read full statement from DHS/ICE. Judge Marks says she wants to move cases at a quicker pace, but that’s difficult when DHS tells her and other judges how to set their calendars. “It feels like you’re tying my hands back in terms of not letting me use what I think is my best legal judgment after years on the bench to figure out how to schedule my cases so I can get the most done in the shortest period of time,” said Judge Marks. The Executive Office of Immigration Review confirms that since March 1, 2016, DHS has flagged priority cases, allowing them to be fast tracked. “I have not heard a coherent explanation as to why some cases are considered to be priorities and others are not,” said Judge Marks. Click here for latest Border Patrol Statistics. Officials with EOIR tell me they are doing their best to get everyone’s case before a judge. 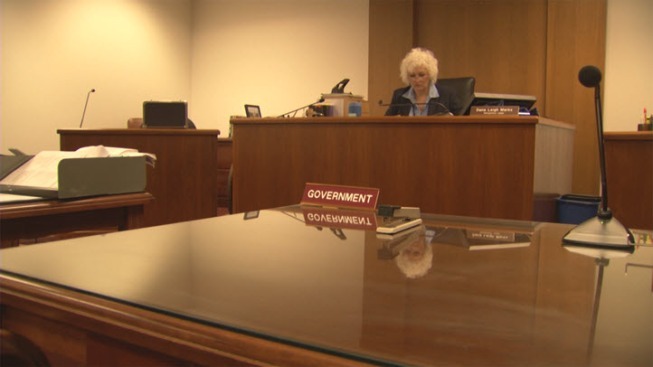 Not only do they have an all-time high 277 judges working an EOIR spokeswoman says the agency is working to hire 90 more. Even so, if NO MORE cases came in right now it would take more than 2 years just to clear the present hearing schedules; there are that many people in the system. Click here for 2015 Statistics Yearbook from US Government.